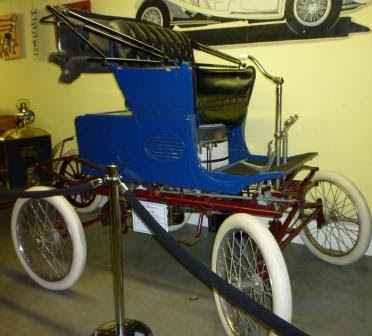 This cool looking old time car is an 1899 Baldwin Steamer, as of 2010 the oldest car in the LeMay Family Collection. Here's a few interesting tidbits that makes me so happy that our technology has improved since 1899. First of all the Baldwin Steamer took about twenty minutes to get started and its boiler needed to be refilled every twenty miles. And the second and most important reason why I'm happy for all the safety features of today's cars is that the Baldwin steamer's boiler over time did have the potential of exploding. And guess where the boiler was located??? That's right, it was directly under the driver's seat, talk about sitting in the hot seat. Okay, bad joke but while this cool classic old car does stand in time as being a stepping stone to where we are today and it is a cute little automobile - I'm certainly glad for today's technology. 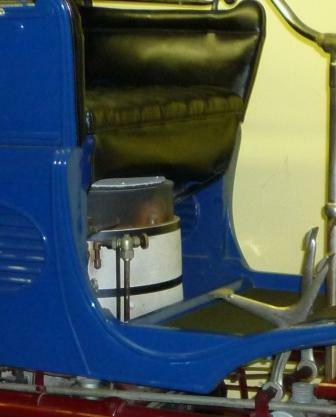 I hope you found this little blog interesting - Thanks to LeMay Family Collection Foundation for the information about this wonderful old classic car. Welcome to the Classic Car Novice blog. My name is Amber. I first became interested in classic cars and trucks when I started as a intern at LeMay- America's Car Museum in Tacoma, WA. I am now a volunteer at the LeMay Family Collection Foundation at the Marymount Event Center which is friend the Museum. 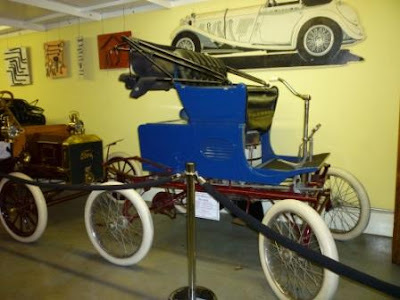 I thought it would be great to share the information that I learn about cars, the Museum, any adventures or exciting events at the Museum, and anything really interesting connected to the classic car and truck history. Won't you please join me on my journey as I learn more and more about these amazing classic automobiles? Hope you enjoy what you read and come back often. Hello World! My name is Amber and welcome to my blog. I hope you find it fun and educational.